Performance appraisals are both one of the most crucial parts of a successful business, and one of the most ignored. 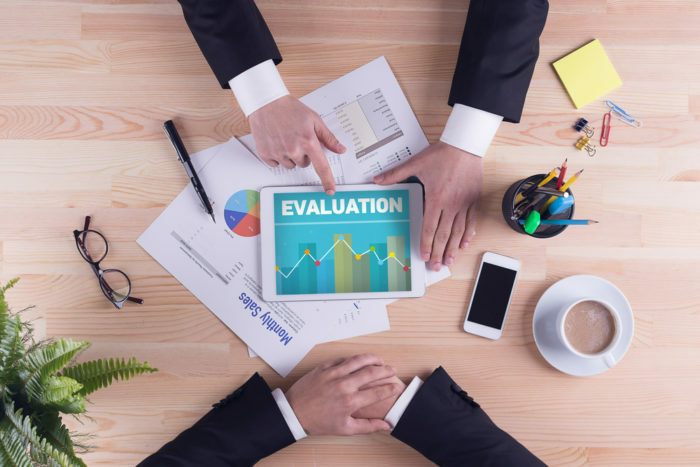 On the one hand, optimistic HR experts recommend appraisals as an effective way to boost employee productivity and morale. On the other, actual HR and business team leaders sometimes have a lackadaisical “I just do it because I have to” attitude. Only 55% of employees even believe that employee appraisals are useful, according to a 2013 survey by i4CP. 90% of HR professionals think they aren’t even accurate. These are stats no competent HR should dismiss lightly. You’d be setting yourself up for failure if you ignored this. 14.9%: Lower turnover for employees receiving regular strengths feedback compared to those who got no feedback. There are two striking conclusions to be reached here. One is that the way most companies conduct appraisals isn’t effective. Second, “regular” is a significant word in all of this. Regular, standardized approval processes would certainly make the appraisal consistently effective. If your organization still sees employee appraisals as a concept they need to showcase just so they can “fit in” with other companies who do the same thing, change is the order of the day. How can you do that in a way that everyone likes? If you are an HR leader, here are some tips designed to improve the employee appraisal process. You could have all the bells and whistles, the latest interview techniques from cutting-edge psychological research, to the fanciest digital solution that you paid big money for, but nothing can replace a process that is focused on being effective all the time. A solid monthly review, for instance, will yield significantly better results than an appraisal that only happens once a year, however good the appraisal itself may be. Positive criticism can help an employee build a relationship of trust with the team member conducting their appraisal. This isn’t to say that you should avoid negative criticism altogether–simply that constructive criticism is valuable. When an employee is shown the areas they have the ability to excel in, this motivates them better than most perks! Nothing pushes a person to do their best quite like knowing what it can lead them to. Following a standard policy for appraisals across the organization is only effective on paper. In reality, this makes the whole thing feel a tad plastic and artificial. Considering that appraisals are all about taking an honest look at an employee’s work, it makes sense that the appraisal procedure is tailored to the individual employee. If you’re a good boss, you’ll know already that what works for some team members cannot be used directly on others, who do better work under a slightly different management style. The same goes for employee appraisals. We live in the world of automation and tech breakthroughs. Integrate your employee appraisal process with your broader human resource management efforts. A system that integrates appraisals into your overall HRMS by syncing apps, exchanging process data, and a big-picture perspective is bound to succeed. Tying appraisals into the larger scheme of things in HR means that you will be making a comprehensive effort against issues like low engagement, time off, and high turnover rates. The tried-and-trusted methods of performance appraisal focused on accountability results in a bit of rigidity. The modern approach instead focuses on picking the right metrics, and being flexible to shift attention to metrics that demand it, as and when required. The key takeaway from all of this is that appraisals are never effective when they are a token effort. To take on employee turnover rates and other issues caused by poor engagement, turn the appraisals that everyone hates into a consistent approach. Regular cycles of feedback and employee-supervisor interaction may be hard, but they pay off in the long run. If your appraisal efforts are your end goal by themselves, reconsider. They are a means to better talent and resource management. Keep this in mind, and you’ll see yourself focusing on metrics that matter instead of meandering along in the name of standardization.